Increasing congestion on UK roads has emerged as the biggest issue facing today's company car drivers, according to the RAC Report on Motoring. The annual study shows 12 per cent of company car drivers now rate congestion as their biggest frustration about driving in the UK. The report found that 65 per cent of company car drivers believe congestion has become worse in the past year and 78 per cent agree that more must be done to tackle the problem. Other top anxieties for company drivers in the report are concerns over other motorists talking on mobile phones when driving, and concerns about the cost of fuel. Almost half of company car drivers believe that congestion from emergency road works is worse than a year ago (40 per cent of private drivers agree) and 29 per cent, believe congestion due to accidents is worse than a year ago. 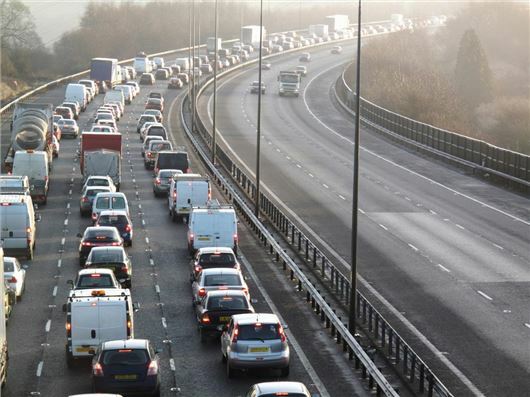 According to the report, congestion on UK roads is having an impact on the traditional working day with 46 per cent of company car drivers saying that they alter their working hours to avoid congestion issues. Jenny Powley, sales director corporate business, RAC Business, said: "A good road network is vital for the UK’s economic development and problems such as congestion could undermine the fragile economic recovery we are currently experiencing. "We are seeing drivers altering their working hours to avoid traffic problems, which is fine if you have flexible working patterns and can do that. But most people are committed to set working days and times, and they will be losing vital hours due to congestion, which will inevitably impact on productivity." Department for Transport figures show traffic in the UK continues to increase, with a 2.3 per cent rise in the year ending June 2015. This equates to 314.6 billion vehicle miles, marking the highest recorded traffic figures to date. Powley added: "We recognise that road users will suffer increased congestion and delays over the next five years as the network is upgraded, which is why we are calling for Highways England and other stakeholders to make the case that these short-term delays are worth the pain in the long term if it results in a network that can genuinely support economic growth in the UK in the 2020s."